Playing in the NLDS for the first time since 2007, and coming off a season a year ago when they only won 65 games, the Arizona Diamondbacks have struggled so far in the playoffs. Down two games to none, the Diamondbacks are heading home for two games in hopes of turning the series around. 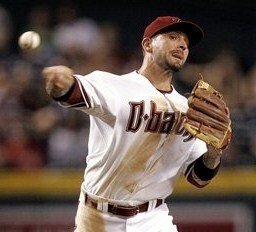 In Game 1 against the Brewers, the Diamondbacks looked like they were getting off to a good start in the first inning. Willie Bloomquist led off with a single, then stole second. 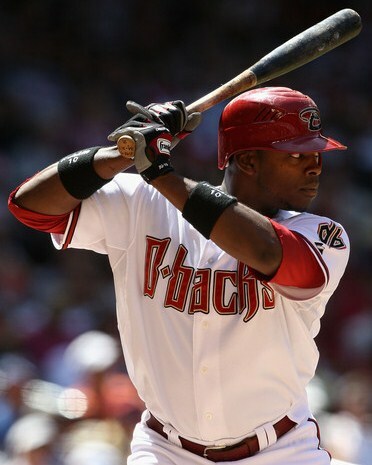 With one out, Justin Upton singled to left and Bloomquist headed home. Ryan Braun fielded the ball in left and threw a two-hopper to the plate to get Bloomquist out at home, and that seemed to set the tone for the game. Nothing was going to come easy, and the Diamondbacks did not get another hit until the sixth inning. Brewers pitcher Yovani Gallardo (17-10) went on to throw eight innings, striking out nine and allowing only four hits. The lone run scored by the Diamondbacks came in the top of the eighth inning when Ryan Roberts led off with a solo homer to center field. The Brewers were held scoreless by Diamondbacks ace Ian Kennedy (21-4) until the fourth inning. Ryan Braun and Prince Fielder did most of the damage in Game 1, and both had gotten hits to start the fourth inning. After Ricky Weeks was hit by a pitch, the bases were loaded, and it only took a sacrifice fly by Jerry Hairston to score the first Brewers run. In the bottom of the sixth, the Brewers added another run after Yuniesky Betancourt hit a one-hopper to the left-field wall for a triple. The Diamondbacks decided to pitch to Jonathan Lucroy with two outs instead of walking him to get to Brewers pitcher Yovani Gallardo. That decision ended up costing the Diamondbacks as Lucroy singled to left field, scoring Betancourt and giving the Brewers a 2-0 lead. With two outs in the bottom of the seventh Ryan Braun got his third hit of the game, a double to right field. 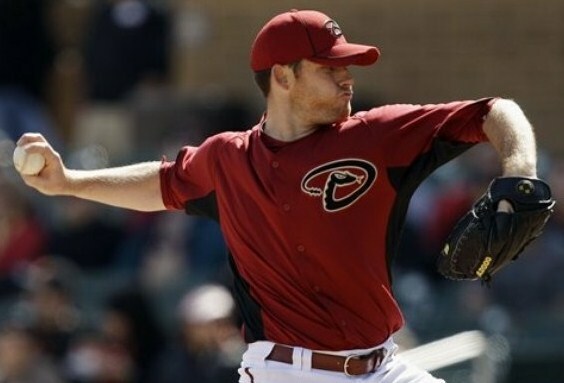 With Prince Fielder up next, and Ian Kennedy at 109 pitches, the Diamondbacks were faced with another decision. They decided to pitch to Fielder instead of walking Fielder to get to Rickie Weeks, who had been out with an ankle injury for almost a month and a half before returning to the lineup on September 10th. Again, this decision backfired, and Fielder laced a line drive home run over the right field wall to give the Brewers a 4-0 lead. Ian Kennedy left the game after that, allowing four runs off eight hits, a walk, and two hit batters in 6 and two-thirds innings in his postseason debut. Heading into game two, the Diamondbacks sent Daniel Hudson (16-12) to the mound against Zack Grienke (16-6). Like it has happened often this season, the Diamondbacks got down early 2-0 after a single by Corey Hart and a home run by Ryan Braun in the first inning. The Diamondbacks countered with a home run by Paul Goldschmidt in the second inning to narrow the lead to 2-1. The Brewers rallied for two more runs in the bottom of the third inning behind a two-out double by Ryan Braun, followed by a Prince Fielder single, and a triple by Rickie Weeks. A solo home run by Chris Young in the fourth and a two-run home run by Justin Upton in the fifth, tied the score at 4-4 heading into the sixth inning. Momentum had seemed to shift to the Diamondbacks, but it didn’t last long. In the blink of an eye, the Brewers rallied for five runs in the sixth inning as they sent 10 batters to the plate. It began with a double by Jerry Hairston, which sent starter Daniel Hudson to the bench and Brad Ziegler in from the bullpen. Ziegler seemed rattled from the beginning as he balked Hairston to third and walked the first batter he faced on four pitches. When the next batter, Jonathan Lucroy, laid down a safety squeeze, Ziegler sent a wild toss to home that allowed the run to score and the runners on base to advance. After an intentional walk, the Brewers mounted three hits in a row. Within the span of less than 10 minutes and just 13 pitches, the Brewers had scored 5 runs, and led 9-4. Miller Park was erupting, and the Diamondbacks were defeated. No other runs were scored in the final three innings, and the Brewers led the series 2-0. Teams that trail in the NLDS 0-2 have never come back to win the series in 19 attempts. The Diamondbacks will have to try and slow down the hot hitting of Ryan Braun and Prince Fielder, who are 9 for 16 with two home runs and six RBIs in the series. Playing at home at Chase Field should help the Diamondbacks confidence, but they need to get off to a good start or the game and the series may be over early. They will also have to rely on their grit and determination that has allowed them more comeback wins than any other MLB team this season. The Diamondbacks will send rookie Josh Collmenter (10-10) to the mound against Shaun Marcum (13-7) on Tuesday, October 4. With their backs against the wall, the Diamondbacks will have to beat the odds if they want their season to continue. ~ by Troy Erickson Realtor on October 3, 2011.